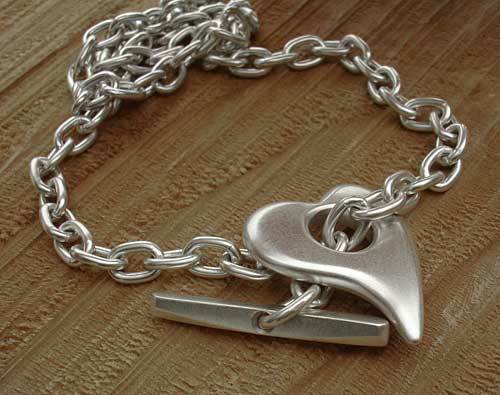 Silver Heart Chain Necklace For Women : LOVE2HAVE in the UK! A popular heart-shaped silver necklace with contemporary designer styling that women love. This silver necklace features a large silver heart on an oval, round wire trace chain in a matt satin finish. 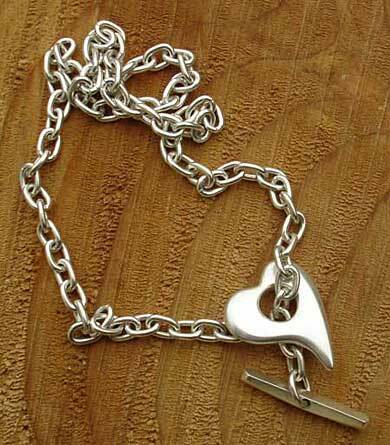 The heart measures approximately 2.7cm x 2.3cm, and the silver chain is about 16 inches in length (other lengths are available on request). The heart has a smoothly rounded edge styling to it giving it a soft designer look. The T-bar fastening securely holds the chain, and this too features some elegant shaping. 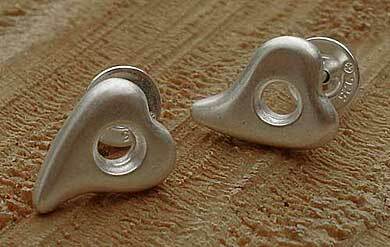 Sterling silver heart necklaces are one the most favourite accessories that women prefer we find. This piece is quite a chunky item, so it is excellent value for money indeed. As indicated above, the necklace has a matt satin style quality to the finish giving it a softer look. It is the attention to shaping and quality that makes this necklace a very particular and unique gift. We also feature a matching bracelet if you are looking for a jewellery set with a lovely modern design style that can be worn on any occasion whether it be formal or casual. 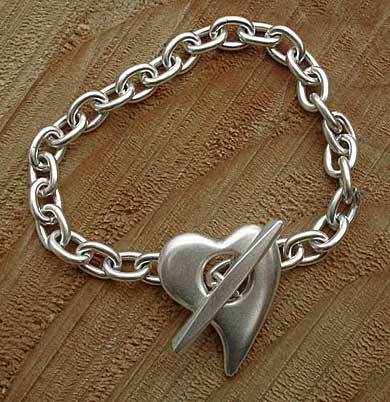 Other pieces in this range include a matching heart bracelet and heart earrings.